Foresight Chronicles: The Blog: Married! Ok so I have neglected this blog due to life. But WOW do I have a reason! On August 18th of 2017, this year, I married someone very special to me. She is loving, kind, fun, serious, silly, spiritual, geeky, inspired, creative, smart, passionate, respectful, intelligent and insightful. Linda Kelly Swenson and I met online via a Latter-Day Saint Facebook page November of 2016. We instantly connected on multiple levels. Unfortunately I was a moron and rejected her offhand. After some self-discovery we reconnected and couldn’t stop. We had our first date in March (an all-day date where we discovered just how perfect we were for each other). 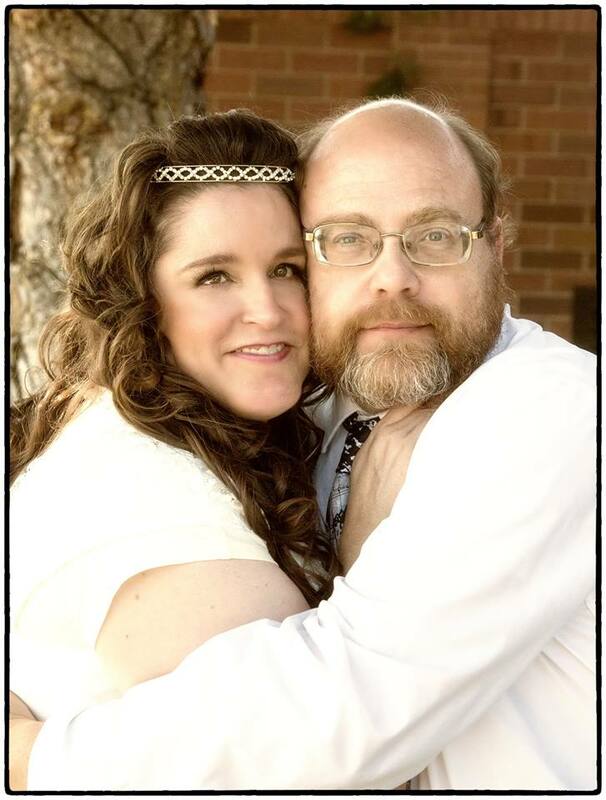 After lots of cross-state visits (she lived in Idaho while I live in Utah), we finally got married in our local church, surrounded by friends and family. Expect more new to follow! What about your writing, Annabelle and her world?